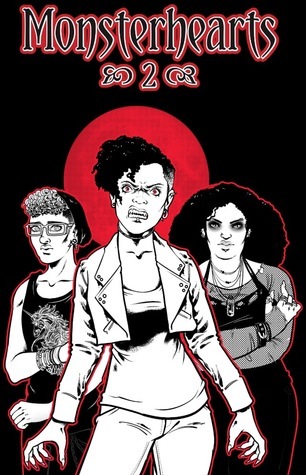 As with Monsterhearts 1: This is a killer book. The book that got me into Apocalypse World games. A trashy, morbid, hilarious, tragic, creative, supernatural experience. It was the hardest I ever had to think when GM-ing, but running Monsterhearts was the thing that helped me break the narrow action-adventure bandwidth of my GM-ing style. It opened my eyes to the sparkly, vampiric possibilities walking around in the light of day.It's tough to recommend it enough. If you're not into the genres that it so proudly wears on its sleeve, you won't find much here for you. That's no knock on Monsthearts; it sets out to do exactly what it intends.Monsterhearts 2 is an improvement from the first Monsterhearts largely thanks to a few additional essays that address safety technology for your games, address race in your games, and revamp some of the issues around sexuality of the first Monsterhearts (for example, ace characters no longer have to tap dance around their effective erasure in the "Turn Someone On" move). They also include a couple sample towns, and these are wonderful.Get it, run it! Five stars, I remind, is what I give books that everybody should read regardless of whether or not they usually read the genre.This is a book that everyone should read regardless of whether or not they usually read the genre.Clearly written, thoughtful, kind, honest, it invites other people to remember or imagine what it's like trying to figure out where you're going when you yourself don't know and no-one is listening to you and it's all desperately, desperately important. In addition to a tightening up of the rules, there's a renewed focus on diversity. I particularly appreciated the section on incorporating asexual characters in a game that is often driven by sexuality. I haven’t had the good fortune to play Monsterhearts yet, either the original or the second edition. The people and podcasts I follow are and have been deeply in love with Avery Alder’s creation, and I have only heard wonderful things about the game in play. The second edition is a great text for both new and experienced players. Alder has taken the time to carefully organize the material and content in an original manner, starting with the information most critical to understanding the focus and concerns of the game. It is easy when writing the text of a game powered by the Apocalypse to use the structural order of books that have come before. In Monsterhearts 2, you can feel that each section is carefully placed. Alder is also intent on showing that there is nothing up her sleeves, laying out how each part of the game functions in relation to the other parts so that whether you are playing a main character or the MC, you know why the game is setup the way it is. The writing is clear, compelling, and illuminating.Alder is clearly aware that this game will be the first RPG for a number of players, and she dedicates quite a few choice pages to techniques for teaching the game to others. I’m not sure I’ve seen another game analyze the process of teaching as carefully as this one does.The magic and beauty of the game are in the presentation of the mechanics. To read a playbook is to get little jolts of excitement as you see all the flavor that makes the character dynamic and focused. To read the basic moves is to see the game playing in your mind, watching how strings appear and get spent, how harm occurs and potentially transforms the characters, how experience builds up, and especially how the characters are able to pull and tug at each other to pursue their individual goals. You can see clearly how the monster metaphor and teen-experience metaphors line up into a single thing of beauty.For me, a well-written RPG has me playing the game in my head, throwing switches and pulling levers and holding characters up to each other like I was playing with my Star Wars figures in my childhood. Monsterhearts 2 has exactly that effect, and I can see immediately why so many other players have been drawn to its magic. The text is well-written, the rules are clearly presented, it doesn't waste a bunch of time on unstructured digressions (i.e. if you want to just lightly skim past part because you're with a group of experienced gamers who've dealt with all that stuff before, it's probably clearly marked), the index is useful, the interior art can be inspirational, the basic premises are interesting, the guidance for how to carry an ongoing campaign and keep it fresh is great, and it's enjoyable to play.It adapts the Apocalypse World rules to a different setting and set of premises. Unlike many "Powered By The Apocalypse" games that do so, I don't feel like it lost anything in the translation; it changed things to fit a different context, and did it quite well. It also handles physical conflict rules for a setting where violence can happen, but is not a significant focus of the game, far better than I've seen in any other RPG.In terms of editing, interesting setting concepts, organization, playability, technical game design, and writing, I don't have any nits to pick. Good work. I've only played the first edition of this RPG, not this one yet, but I like the look of it. It seems to tighten up the game play a little, and strengthens its support of diversity, both of players and characters. One thing I particularly like about the rule changes since first edition has to do with how characters gain experience. In first edition, after creating your character, one of the other players and the story guide would each choose a stat for you: using those two stats were how you gained experience. In this version, you mark experience any time you fail a roll. This seems like a small change, but what it does is return agency back to a character's player; they don't have to choose between what others in the game want to see, or how they want to play things themselves, in order for the character to have an opportunity to grow. A solid update from the first edition with a section on playing marginalized characters from people of color, boundaries at the table, and a discussion of including asexuality in the game. The rules have had some minor but useful refinements and the advice for the MC (person running the game) is thorough and good. This looks like a fun RPG and I'm pretty stoked to play it. I would have liked it if there was more in the way of canned settings, or even a canned adventure. The only page summaries of settings were interesting, but I feel like this didn't quite leave me at the point where I'd be ready to run a game. I enjoyed this rule book. I’ve played the first edition, and this new edition looks like it streamlines while maintaining the essence of what makes Monsterhearts special. The only critique I’d make is that the game seemed eager to let me know it is LGBTQ friendly, to the point I found it cloying. I recommend this game if combining high school hormone-fueled drama with supernatural powers sounds like a good time to you.